Good Morning. This is Selma Stevenson today. 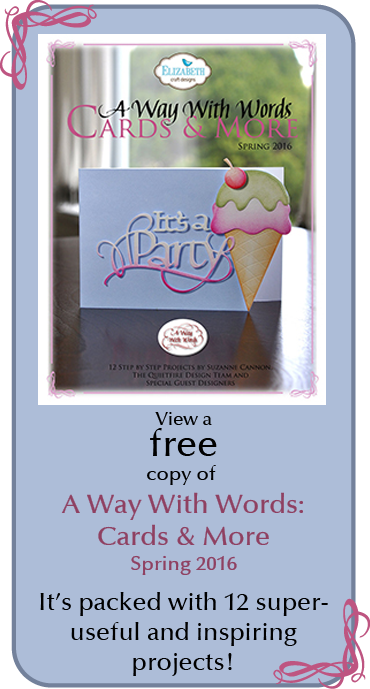 I have designed a card with one of Suzanne's Garden Delights stamps. Here is a picture showing all the stamps in this set. The pretty sentiment was stamped using black Versafine Ink then die cut using one of the Elizabeth Craft Designs Stitched Rectangles. It was backed with red card stock. The flowers were created with Susan's Garden Geranium dies. The green Leafy Branch and the red Ribbons down the left side are from the Els van de Burgt Studio line, from Elizabeth Craft Designs. Don't you love all the stamps in this Garden Delights stamp set! 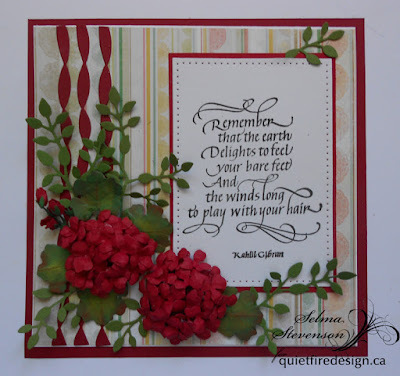 This is a beautiful card with stunning geraniums! The red sure pops!